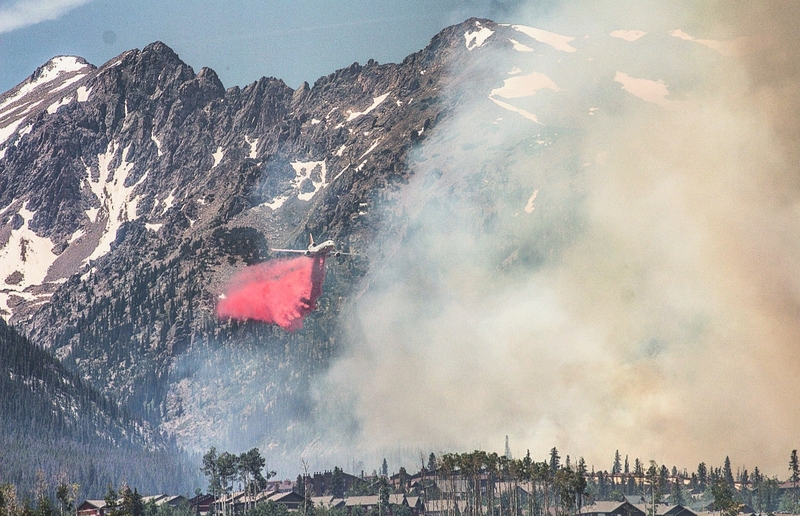 A tanker dumps slurry near the Buffalo Mountain Fire near Silverthorne on Tuesday afternoon. 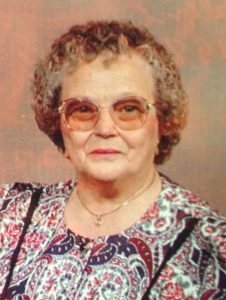 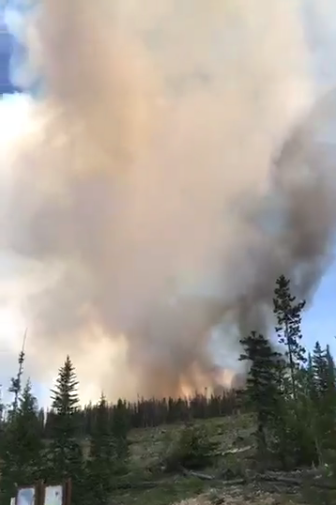 UPDATE 4:51 p.m.: At a 4 p.m. press conference, officials announced that the Buffalo Mountain fire was at 91 acres. 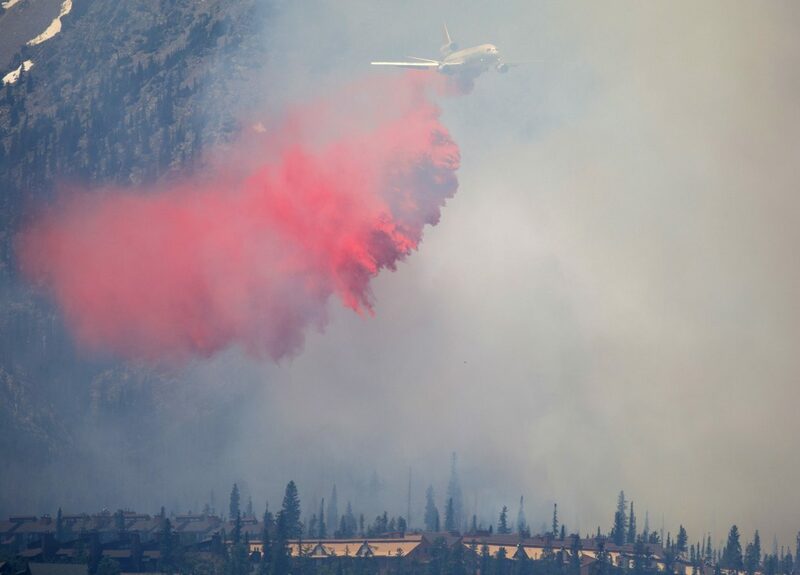 1,384 homes have been evacuated from the Mesa Cortina and Wildernest neighborhoods above 20 Grand Road, and 1,160 residences are on pre-evacuation notice. 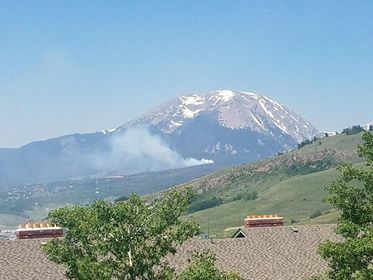 Fire officials said the situation near neighborhoods looked “pretty good,” with fuel breaks buffering homes from the fire at the moment. 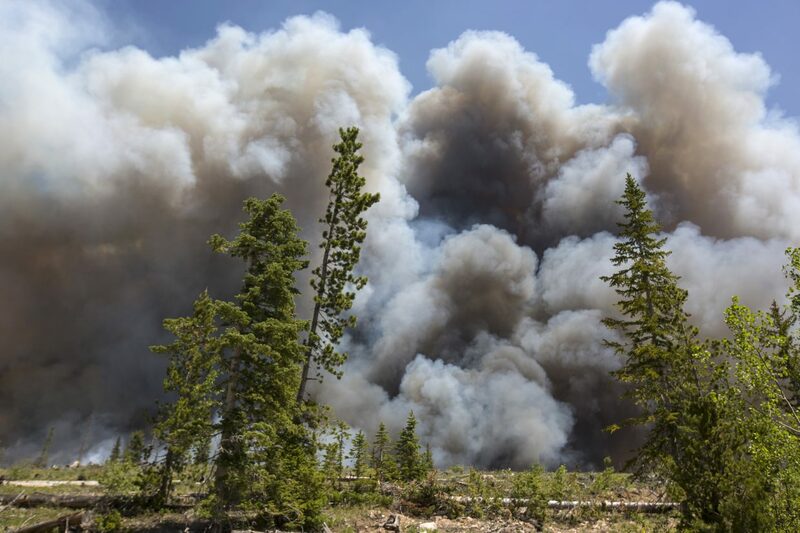 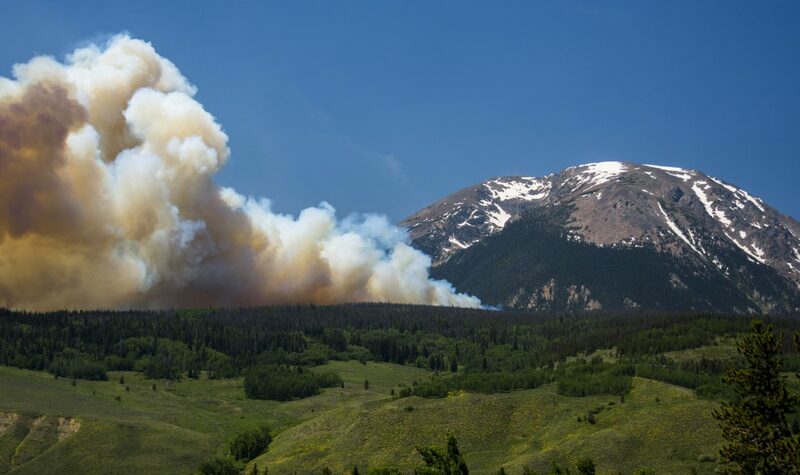 The county has issued an air quality health notice for wildfire smoke, and smoke is expected to settle into the towns of Silverthorne, Dillon and Frisco by Wednesday morning. 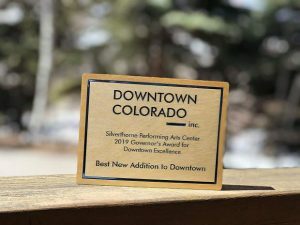 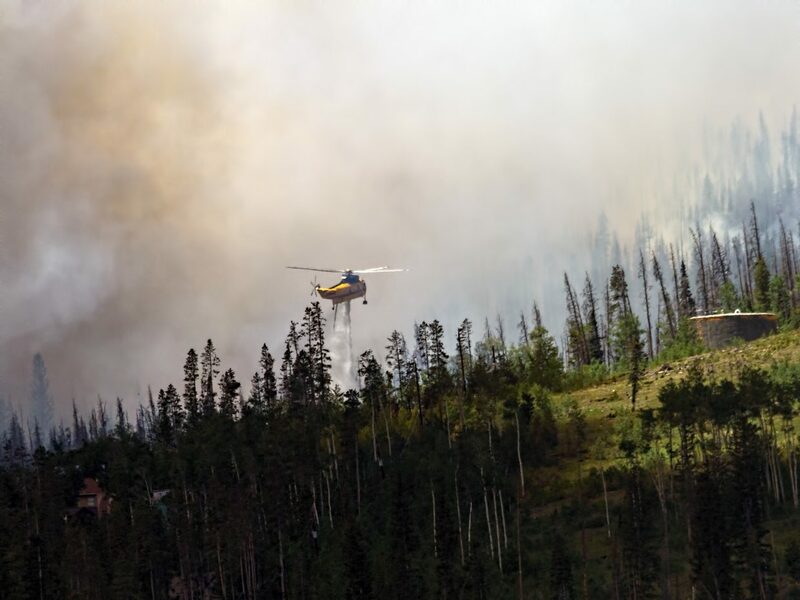 A community meeting will take place at Silverthorne Pavilion at 6:30 Tuesday evening.SILVERTHORNE, Colo. – Summit Fire & E.M.S. 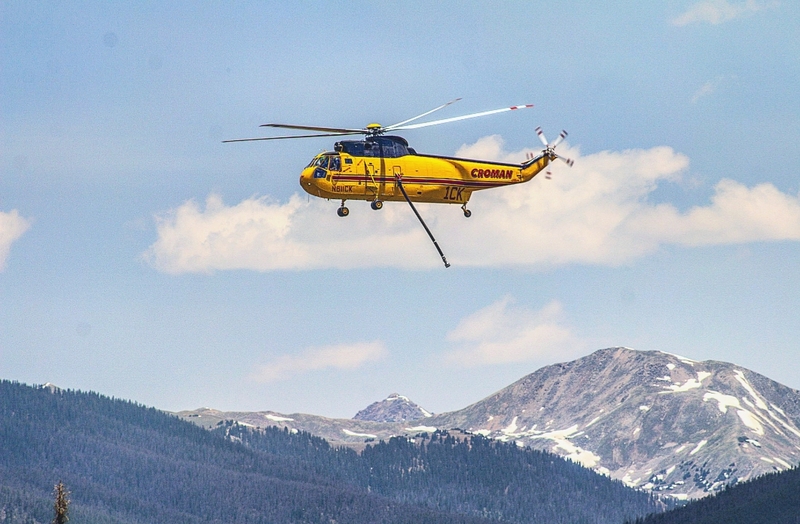 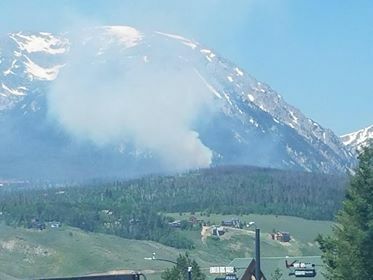 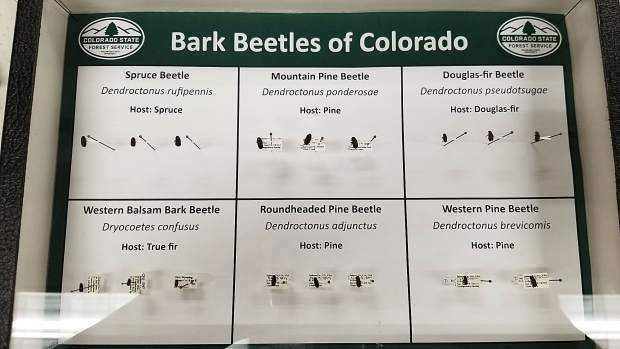 and the U.S. Forest Service are fighting a wildfire on Buffalo Mountain, west of Silverthorne and north of Frisco.The fire is currently at 91 acres and growing, said Summit County Sheriff Jaime FitzSimons. 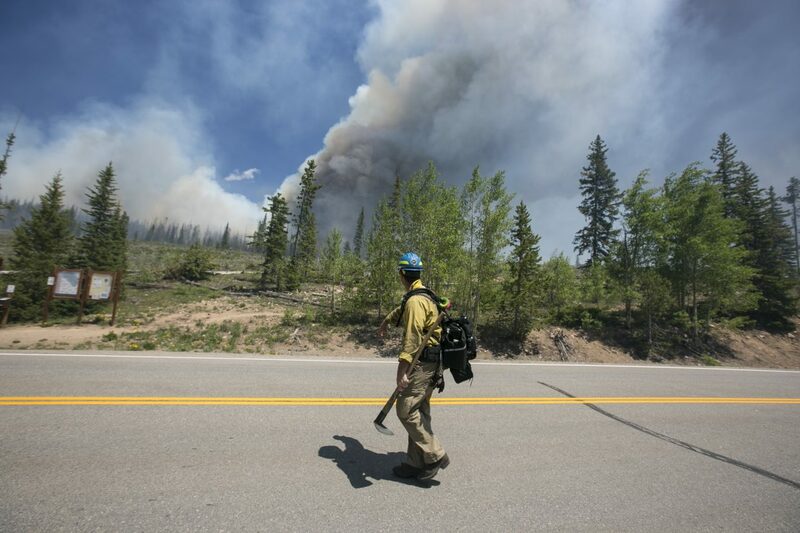 The fire is traveling east, downhill, and is currently 250 feet from structures. 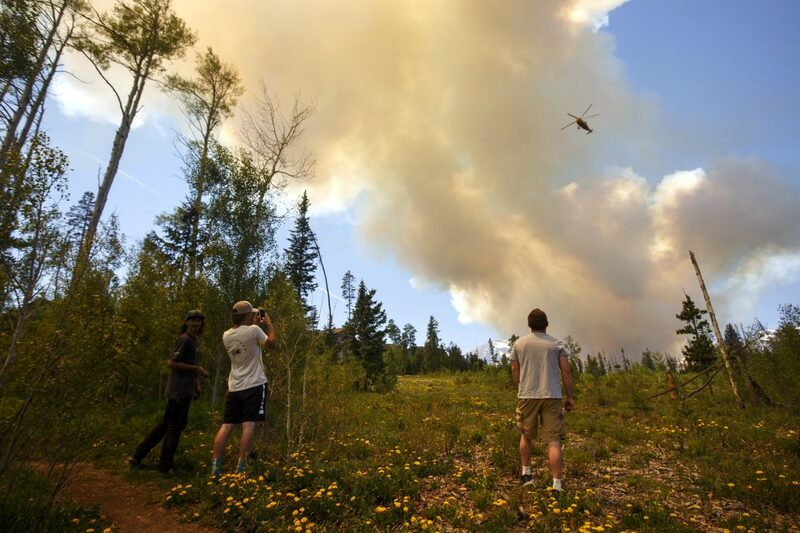 Evacuations at the top half of Wildernest and Mesa Cortina are in progress. 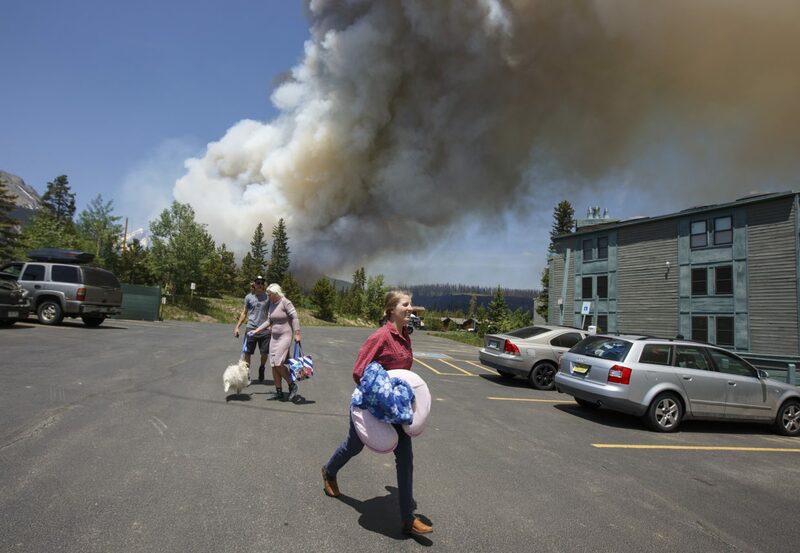 The number of evacuees is unknown at this time, but FitzSimons said the area contains high-density residential development.Authorities have set up an evacuation shelter at the Silverthorne Recreation Center at 430 Rainbow Drive in Silverthorne. 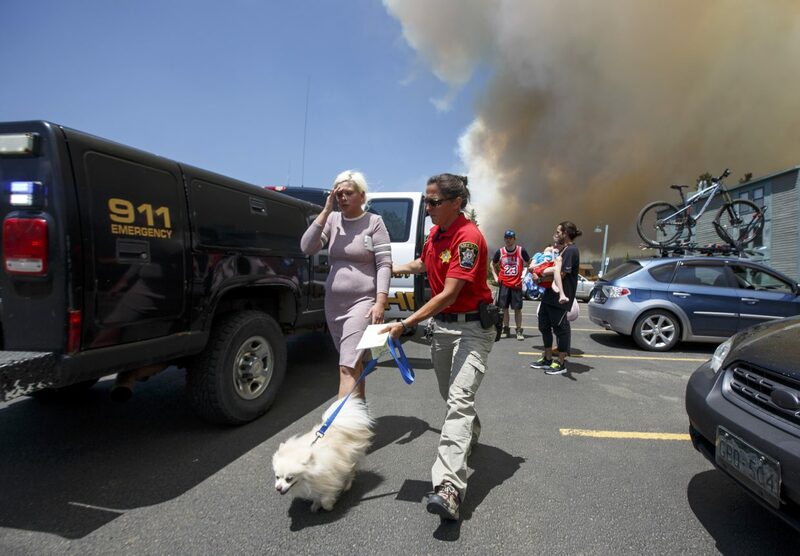 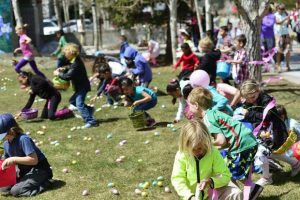 The county urges residents to call the Public Information Hotline for more information: (970) 668-9730. 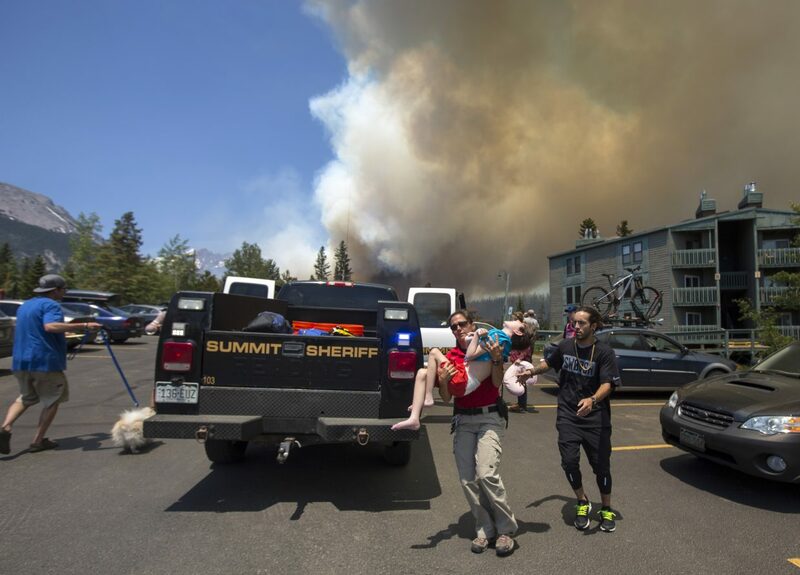 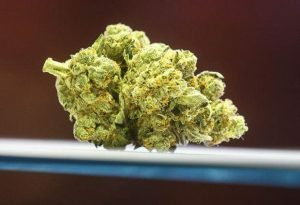 The county also has frequently updated emergency blog at http://www.co.summit.co.us/emergencyblog.Story continues under video. 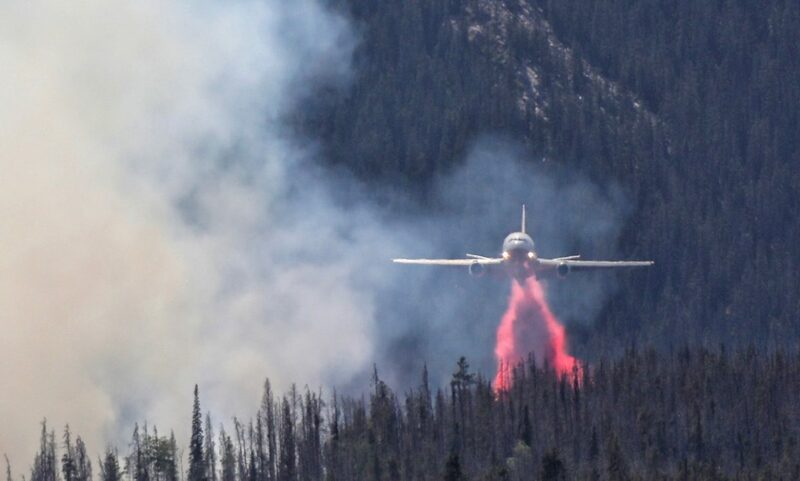 Summit Fire has requested both hand crews and aircraft to assist with the blaze. 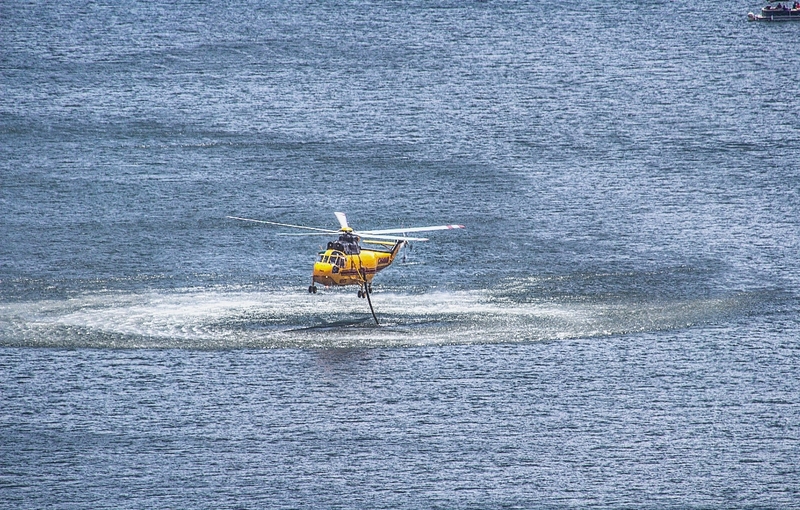 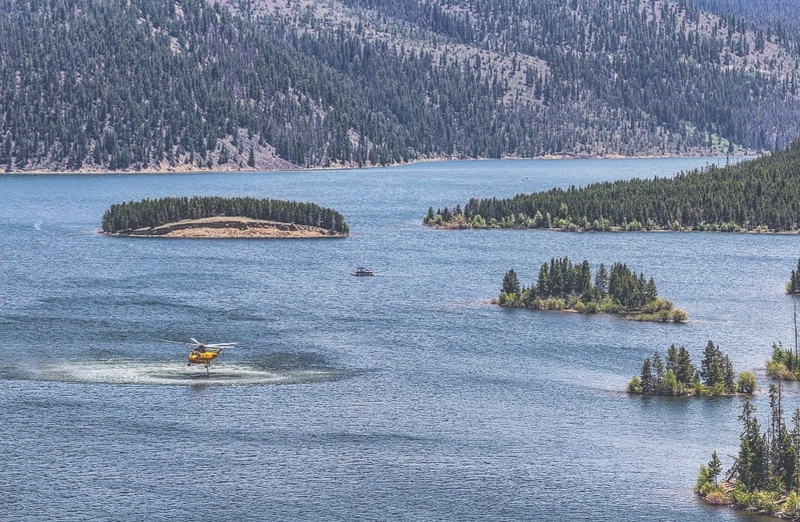 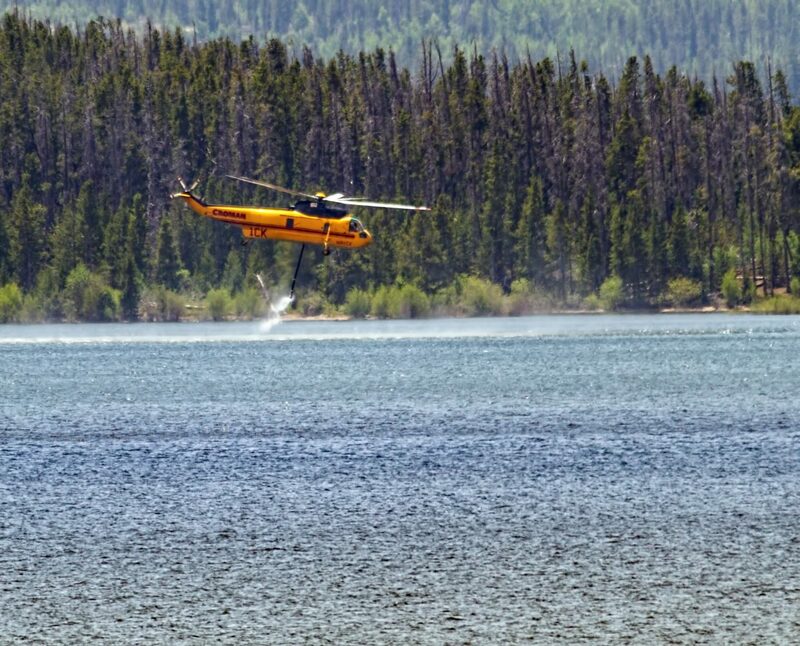 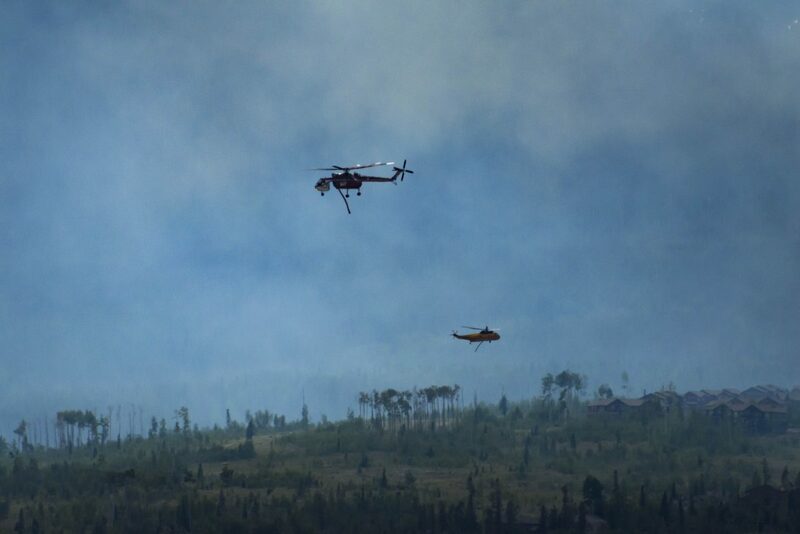 Aircraft designed to combat wildfire have been deployed to the scene, said deputy district ranger Adam Bianchi. 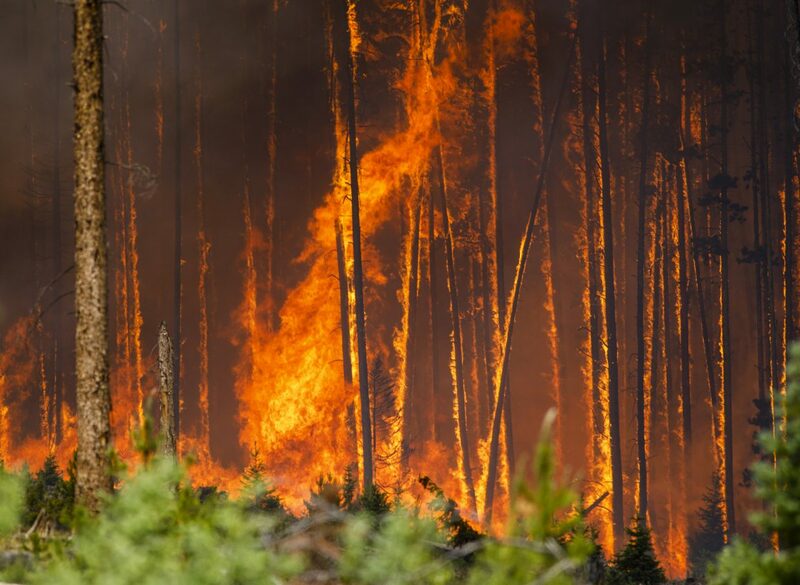 Fire officials said that 50 firefighters are on the ground with 100 more en route. 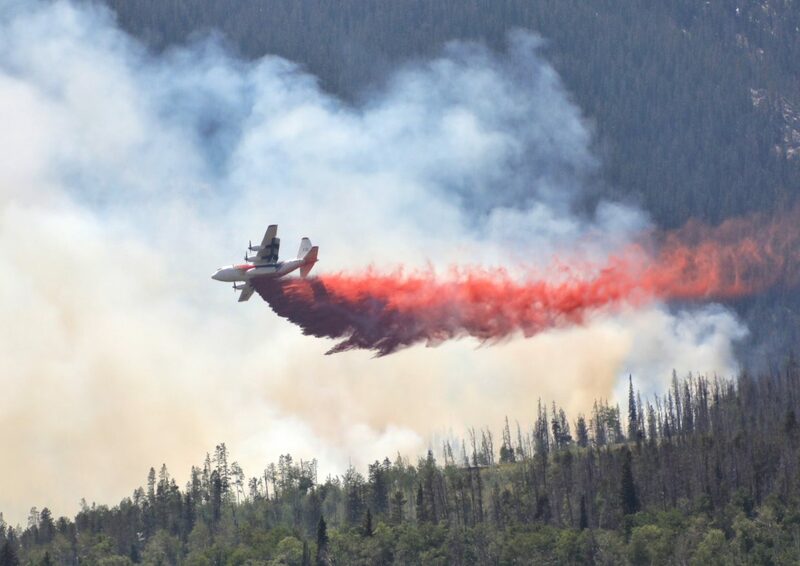 One heavy air tanker, one Type III helicopter, and one air attack plane and three Type 1 Strike Team Heavy Engines have already hit the wildfire. 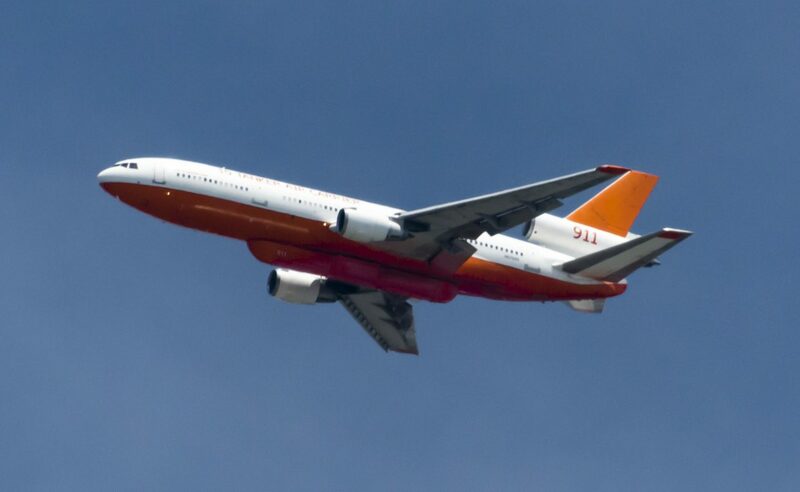 Three more heavy air tankers, two very large DC-10 air tankers, and 2 Type 2 helicopters are on the way. 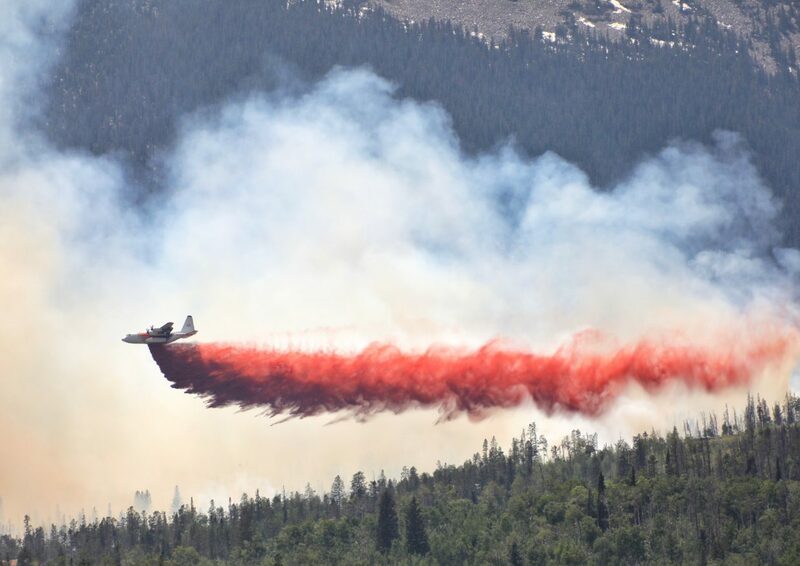 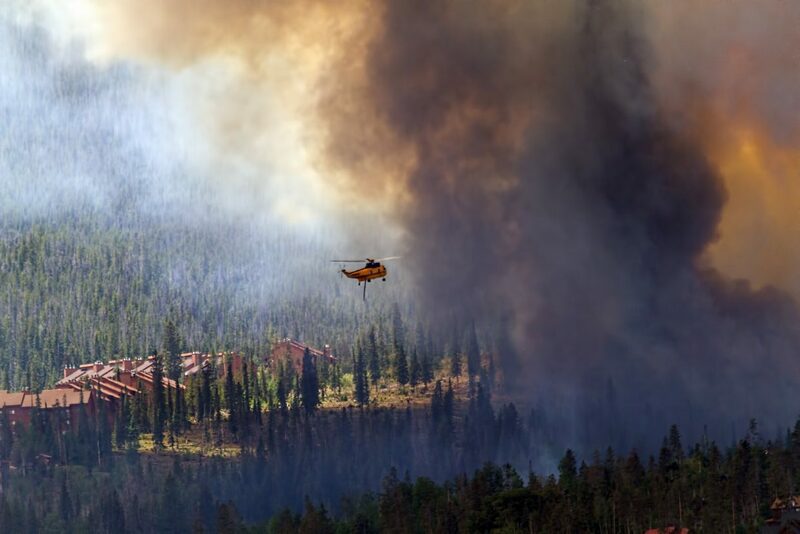 Air tankers have deployed fire retardant material around the fire.https://www.summitdaily.com/wp-content/uploads/2018/06/Fire-inte1001.m4aListen: Interview with Summit County Sheriff Jaime FitzSimons and deputy district ranger Adam Bianchi.Bianchi said the Forest Service recently did a fuel reduction project in the area, which they hope will stop the fire before it reaches homes.“We are fighting this with everything,” FitzSimons said.Story continues under video.